A common goal that many investors hope to achieve is maximizing investment returns while reducing risk. Although it may sound like an achievable investing goal — almost as achievable as juggling a group of chainsaws that are on fire. However, what many investors do not realize, it is actually an easy and important goal for new and passive financial investors to achieve. And, diversification is one of the easiest ways to do so. There are plenty of tools and resources available that make it easy to diversify brokerage accounts, retirement accounts, or other investment funds. For example, easy and cost-effective exchange Traded Funds or mutual funds and investment portfolio management software will help portfolios get diversified quickly and efficiently while reducing risk. Bonds are a great generator of income with moderate returns. However, they are ineffective in a hot economy. Exchange Traded Funds (ETFs) or Mutual funds can offer investors a combination of asset classes and immediate diversification. Diversification is beneficial to investors in that it helps reduce the overall risk of an asset class while increasing the potential for overall return. This happens because of a fluctuating market, where some assets will perform well while other assets are performing poorly. However, even when an asset is doing well or poorly one year, their positions can be reversed the next year, causing poor-performing assets to become the winners, and well-performing assets to become the losers. Regardless of which stocks perform well, investors tend to earn the market’s average long-term historic return — about 10 percent yearly — by having a portfolio that is well-diversified. On the other hand, over smaller time periods, the historic return can widely vary. By owning a variety of assets, investors can minimize their chances of any asset bringing down their portfolio. The disadvantage of owning a variety of assets is that investors will never be able to fully capture the gains and returns. Diversification has a net effect that enables slow and careful performances and smoother returns, never shifting upward or downward too quickly. The reduced volatility that comes from portfolio diversification helps ease financial distress for investors. Market Risks. These risks come with owning an asset of any kind, including cash. The market potentially can become less valuable for assets due to preferences made by an investor, a change in interest rates, or other factors, like the weather. Asset-specific risks. Asset-specific risks originate from companies or the investments themselves. These risks include the success of a company’s product(s), the stock price, and the management’s performance. Investors can thoroughly reduce asset-specific risk by diversifying their investments. However, when it comes to market risk, there is really no way to eliminate it using portfolio diversification. It is just is what it is. Investors will not be exposed to diversification benefits by having a portfolio full of assets in one industry, market, or sector. Companies that are categorized within an industry all have similar risks, so a portfolio needs a mixture of industries. Remember, investors portfolios have to vary by industry, geographic location, and size in order to reduce company-specific risk. While portfolio diversification may seem like a daunting task, especially when investors do not have the time, skill, or motivation to research individual stocks or determine whether a company’s bonds are worth purchasing. But, with ETFs and mutual funds, investors have terrific options for quick and safe diversification. Plus, with the proper diversification, investors are more likely to outperform the immense majority of portfolios that are actively managed. One of the best options of diversification for passive invests to use is an ETF or mutual fund that is based on the S&P 500 index, which is a diversified stock index for the 500 largest American companies. The stock index is diversified by industry and size. And, even though these companies are based in the United States, a huge portion of their sales is generated overseas. This means investors can receive the benefits of immediate diversification in just one fund. However, there is a downside: such funds are generally concentrated in stocks. In order for investors to achieve wider diversification, they may want to consider adding bonds to their portfolio. 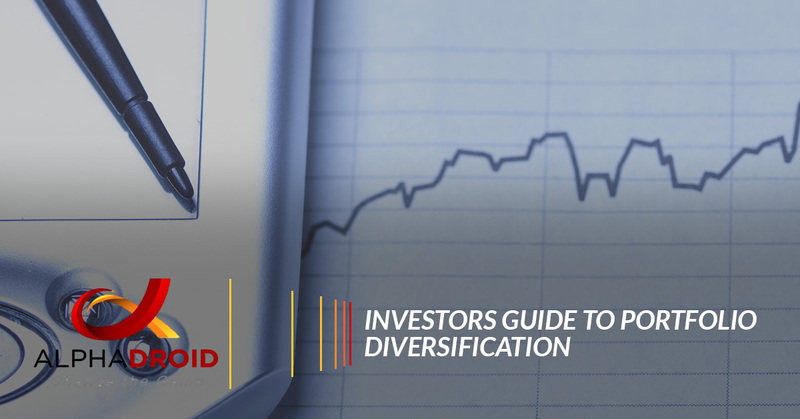 Other diversification options are to include target-date funds, which manage asset allocation for investors. Investors set their retirement year, and the fund manager handles the rest, generally shifting assets from stocks that are volatile to bonds that are less volatile as the retirement date approaches. These funds usually are more expensive than standard ETFs, but they can value to investors who would rather avoid portfolio management altogether. With these diversification options on-hand, investors can attain the benefits of portfolio diversification fairly easily and affordably. Looking to reduce portfolio risk? Diversification is an effective way that financial investors and advisors can reduce their portfolio’s risk. However, as mentioned above, diversification is not the cure for risk. Because there are numerous sources of risk to face related to companies, markets, funds, strategies, and other events and matters, a single act of diversification will not eliminate all factors of risk.However, there is a way to reduce portfolio risk even more than diversification can, and that way is AlphaDroid. AlphaDroid is an elite investment portfolio management tool that allows investors to analyze, construct, and compare various investment portfolios. The AlphaDroid portfolio management software was designed to reduce risk on a variety of levels. Want to experience the power of AlphaDroid first-hand? Try a free trial of our elite financial planning software today! Start Your 30 Day Free Trial Today!